Back pain is a very complicated conditions with 80% of Australians suffering from debilitating back pain at one point in their life or another. There are hundreds of different causes for back pain whether that be from a disc bulge direct trauma postural imbalances or sitting at a desk for prolonged periods of time. Specialised Remedial Massage In Richmond that targets the most common form of back pain. One of the most common causes of pain in Australia is back pain, affecting approximately 80% of Australians at some point in their life or another and in a large percentage of these cases many can be resolved, here at our Richmond Remedial Massage Clinic. 80% of Australians will suffer from Back Pain one time in their life... Our Remedial Massage in Richmond will help you Avoid being part of that statistic. What Is Decompression Therapy And How It Is Useful? Decompression therapy is becoming quite popular these days. The therapy is also known as spinal decompression therapy and involves no surgery. This therapy is used for back and neck pain relief. Back pain, which is caused by herniated disc, degenerative disc, spinal stenosis and other deformities present in the disc. Massage therapies come in different styles these days. You can check out the local directories and I’m sure that you are going to find out a plenty of advertisements related to sports massage, deep tissue massage, Thai massage, remedial massage and so on. Some massages are given with hands whereas, for some, different materials are used such as hot stones, soil and so on. There are many specialists in Australia that specialise diagnosing back pain, however not at providing a solution. Our back specialists Remedial Massage Richmond to both. Suffering with middle back pain? Find out how the massage we do at our Richmond clinic has a targeted approach to curing your middle back pain. 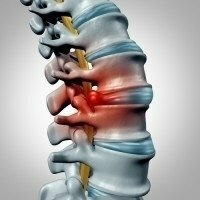 Why You Have Your Back Pain and How Remedial Massage Richmond Eradicate it. There are a number of different causes of back pain but majority of back pain is caused by damage to the muscles and ligaments of the back which can result in bulging discs, facet joint sprains or even sciatica. Find below why you have your back pain and how remedial massage Richmond eradicate it. Why Did My Back Pain 'Come From Nowhere'? Australians generally at one time in their life suffer from back pain? Back pain is one of the leading causes of hospitalisation in Australia and the numbers climbing on a day to day basis. But what causes back pain and how can our unique remedial massage at our Richmond clinic help you?